Il reste 1 000 objets. Veuillez saisir un nombre inférieur ou égal à 1 000. 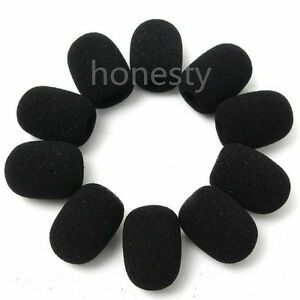 Excellent quality, removes breathing sounds from mic great! Shipping is slow due to it being shipped from overseas but they are worth the price and wait time. Highly recommend you get these! If you need them they're great. Didn't end up using them as the two old radios they were for didn't work very well so I had to replace them with more modern units. I will admit that one of the review questions was 'Is it enjoyable?'. I can't imagine what I could use them in an enjoyable way so I didn't answer that question LOL. Fits my mike well, not paper thin. Restored my mic to like new condition.